Celebrate summer with this nineteenth century depiction of a small town on the prairie. 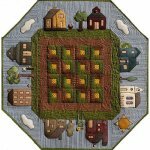 The 31" x 31" centerpiece of this unique table topper is a small, antique reproduction quilt representing a piece of America’s quilt history. 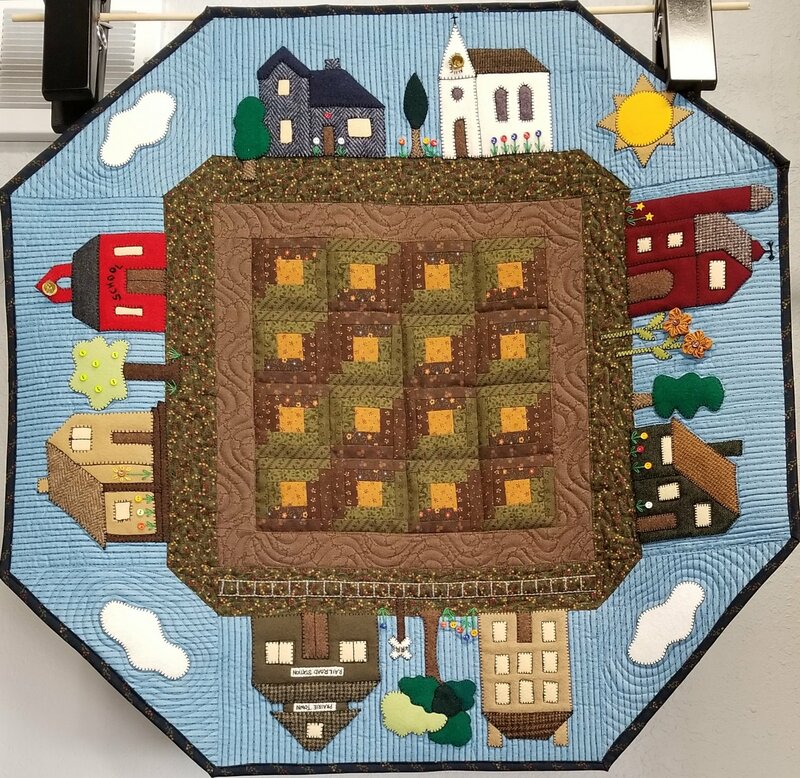 The prairie town, which is appliquéd to the borders around the little quilt, is made from wool and embellished with buttons and embroidery. Advanced beginner. Kit includes fabrics, wool and binding. Embellishments and embroidery thread not included.